Scraps and Rags arrived at the dog park around 6:00 p.m. and stayed until 6:45 when the park was beginning to empty due to darkness. By the time we arrived it was already low light so any picture I took were dark but still I managed to snap a few and take some video for a few seconds. 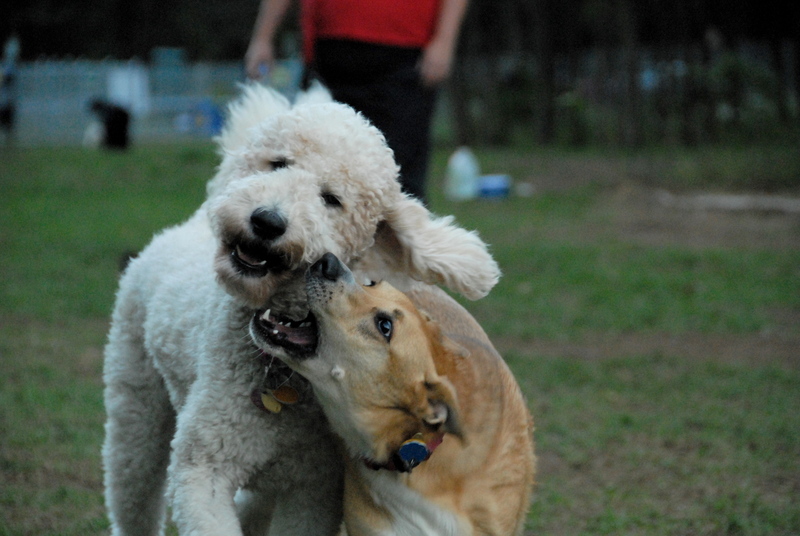 There were a lot of dogs in the big dog park all having fun and playing. I saw no bad behavior only dog-gone fun. There were no wee ones in the little dog park. There were lots of dog I didn’t know, yet heard their names, but at this juncture, I don’t recall them. I will take this opportunity to welcome Pupita, an Hispanic Jack Russell Beagle mix who didn’t have a real name yet at 8 months old so her parents currently call her Pupita until something better comes along. 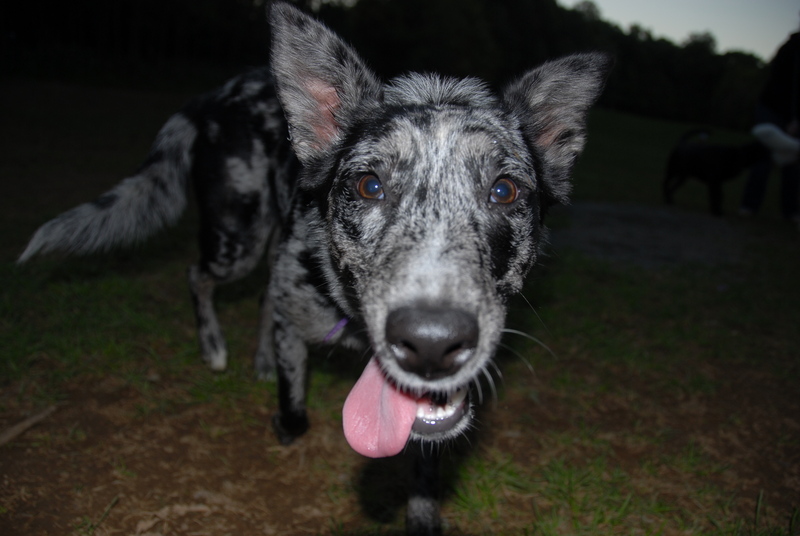 I also remember, or can see on her dog tag, Wilma, the spotted herding type of dog. This entry was posted in CentralDogPark, Photo, SmugMug, Video and tagged ?-Dog, Pupita, Rags, Scraps, Talulah, Wilma. Bookmark the permalink.